I recently experienced difficulties with my thumbs during a concentrated spell of practise. As a result, I started to do some research on playing technique, to find out if perhaps I’d developed any bad habits. Dorothy Taubman, the creator of this discipline, developed the therapeutic approach during her lifetime, dedicated to helping people with bad injuries and conditions caused by bad technique or other incorrect habits. I came across a collection of helpful instructional videos for pianists on You Tube by Edna Golansky, in which she goes into some detail on the approach and focuses in on some very specific examples. I recommend watching at least some of these, whether you’re experiencing problems or not, as there’s a wealth of information here. Luckily, or perhaps not so much, my thumb issue seems to be the onset of arthritis more than a bad playing technique, however I’m currently looking at ways to improve my hand and arm work based on the ideas put forward by Taubman practitioners and plan to book myself a Skype session or two in the future (there are currently no UK practitioners). I’d be very interested to hear from any students who have attended classes or seminars on the Taubman technique, to hear your experiences and opinions, so please contact me if you’d like to get into a discussion – or hit the comment box below. 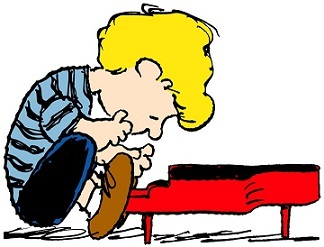 I firmly believe in combining the contemporary side of piano teaching with the traditional side of music education, as I personally feel that lack of attention to either side leads to incomplete development as a musician. My piano tuition practice in West London is dedicated to introducing students to material and techniques that’ll give them the absolute best grounding possible as musicians. Book My Piano Lesson Now! Studying ABRSM (Associated Board Of The Royal Schools of Music) material is a crucial background for musicians who want to move around freely in an industry that in our present day frequently blurs the lines between classical and more popular styles. Additionally, the ability to improvise and reproduce a piece of music aurally (for the purposes of learning) must be cultivated in every performer in order to express their deepest musical character. My lessons look at both sides of the coin, using popular contemporary pieces to achieve the kind of rhythmic, harmonic and melodic dexterity not available from the more traditional repertoire. A significant time is also given over to study of the jazz repertoire and work with chart-reading (‘real book’) and improvising. But for a student to stand a chance of reaching the level of dexterity such as Oscar Peterson or other performers of his level, the serious piano student needs to also include pieces such as Hanon and JS Bach (also Oscar P himself) and other composers who really hone in on finger work, exercising the hand in unique ways that are of invaluable help to those aiming at becoming master pianists. If this hybrid approach is one that appeals to you, why not arrange a no-obligation informal chat to discuss your aims, experience, likes and dislikes? One of my all-time piano heroes, Oscar Peterson gives us this amazing jazz piano lesson. Am I Ready For Piano Lessons?